Today I received the Kickstart-switch (SWB-M-KS+) from Alfa Data for my Amiga 500. I bought it from a guy at AmiBay that had several of these units for sale. The delivery was swift and the quality of the switch was great. Thumbs up to the seller! This switch makes it possible to have two different Kickstart-versions inside the Amiga 500. You can for example have Kickstart 1.3 and Kickstart 3.0 installed. The beauty of this is that you can run Workbench 3.0, which some software require, while at the same time have the possibility of reverting back to 1.3 for games compatibility. With this particular switcher, you can select one of the two ROM’s by simply holding down the left button of your mouse during startup. Can’t get any easier than that. I remember some people having this flip switch at the back of the A500 to switch between 1.3 and 2.x. Hey, I’ve got one of those in my A500! Well, something like that – picked up an A500 from someone who was getting rid of some old hardware, and there was a switch on the back. Not having had an Amiga back in the day I had no idea what it was – popped the top and posted some pics on another forum, and I was told I had a 3-way switcher for the kickstart ROM! Sure enough next time I hooked it up, I booted it with the switch in different positions each time and I was able to go between 1.3 and 2.something! I have one of these installed in my A500 too. 🙂 Mine uses a key combination on the keyboard to switch between the two Kickstart-versions. Since my A500 originally came with Kickstart 1.2 – and I wanted Kickstart 1.3 as well at the time, this was the best solution I could find. I think I bought it back in the early nineties from a Norwegian firm called Tessa Electronics. Which Kickstart-versions are you using with the switcher? 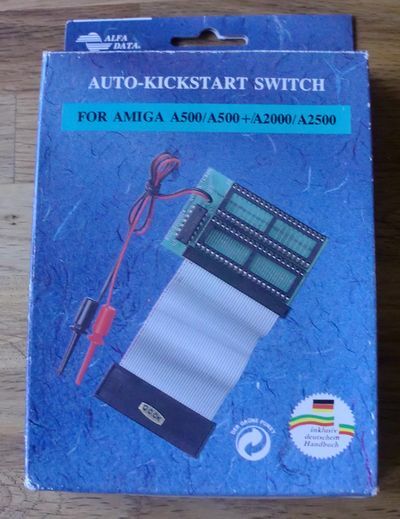 Does anyone know where I can find a 1.3 rom switch, I recently bought a brand new sealed unopened Amiga 500 from Germany, I couldn’t believe it was never opened before so its all nice and new. The Amiga 500 I bought is a 1.2 kick start rom, and I want to add a 1.3 too it. I had an amiga back in the day, and I miss it that much I thought get another one :). I use the Amiga emulator on the PC all the time but i want the actual console too so I can start collection some games I used to have. Many thanks for your comment and for visiting my blog. 🙂 Congratulations on your purchase of an Amiga 500 by the way! You’ve got plenty of options when it comes to Kickstart ROM’s. If you’d like to add Kickstart 1.3 to your machine, you can either replace the 1.2 one with a 1.3 one or buy a Kickstart ROM Switch. I checked Vesalia and AmigaKit for 1.3 ROM’s, but it seems like they are out of stock. Vesalia has Kickstart 3.1 though. You might give AmiBay a go though.. you can find it here: http://www.amibay.com/. This is a trading site by and for Amiga enthusiasts. 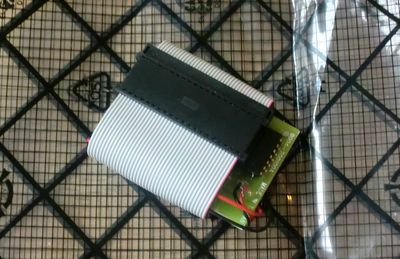 You’ll find cheaper stuff here than on e-Bay and members will help you out with all kinds of stuff. 🙂 I’ve been a member there for years and can’t recommend it enough. If you need a new Kickstart ROM, you can place a Wanted Advert for example.. someone might have a spare to sell you cheaply. 🙂 Good luck! Personally I recommend combining Kickstart 1.3 and Kickstart 3.1. That way you can run a “modern” Workbench OS (much, much better than Workbench 1.3) and switch back to 1.3 for super-classic mode. Thanks for the reply man and thanks for looking into it for me. I don’t know much about the 3.1. My Amiga 500 I had back in the day was a straight 1.3 and a friend of mine had a 1.2 but later added a 1.3 switcher which helped with some games that didn’t work. In all seriousness out of the 1000+ games I had back then they all seemed to work with no problems on a 1.3 but not sure in general how good the 1.2 is. I loved the Amiga more than anyone and the reason I got rid of mine back then was due to the fact that the floppy drive was playing up which was one of those things with the Amiga as I had it replaced once before and it started playing up again and then eventually stopped reading discs as if they were all blank so I ended up getting rid of it. Was one of the hardest decisions to make since it gave me years of awesome fun. Even to this day the Amiga was the only machine that I played day and night for hours on end even skipping school or being late just to play it, I also own a PS3, Xbox360, Wii, 3DS, DS-XL, PSP, GBA and IPad2 but none of them come even close to the fun I had on the Amiga. So I don’t care about the people with their Xbox360 vs PS3 console wars because I will be fine with just my Amiga :P.
I have actually searched around and met some old Amiga game developers from back in the day such as the creators of Hybris who also did Battlesquadron, I been doing some game testing for them for Battlesquadron for the Ipad2 which I am waiting for an update to test and then they asked me to be an official tester for Hybris when they do it next year, so looking forward to that. I have an original boxed Hybris for the Amiga which I will get them to sign for me. The music in Hybris was awesome, it was one of my favourite games along with Turrican 2 and Super Cars and heaps more. Cinemaware are also re-releasing their games on Ipad so it is great to see them back and bring their Amiga games back to current consoles to give them life again haha and to attract new crowds, I have seen people in the recent years buying Amigas who never had one before way back in the 80’s and 90’s so that is awesome. Sorry about the book I wrote haha but I can talk you to sleep about the Amiga. Thanks again for the help with the switcher. I do however wouldn’t mind getting hold of some ram for the A500 also, I had extra Ram that goes under the machine when I first had my A500 so I want to get everything I had for it, including an external floppy drive. Workbench 3.1 is much more advanced than 1.3. You can, with additional software, do everything from surfing the Internet to using DTP software. 😉 Here’s a video of the Classic Workbench package that is based on Workbench 3.1. Enjoy! 1.3 is awesome for gaming though, as all Amiga 500 titles will function correctly. With 3.1, you might enounter some compatibility problems. If you do, you can use a program called Relokick 1.3. This is a disk that boots up an 1.3 ROM. Very handy. Give me a sign if you need it and I can make an .ADF for you. Quite a collection you’ve got there! Many nice machines! Which are your favourites? Please feel free to send me a message on the contact-page of this blog if you want to. I can then give you my e-mail in case you’ve got some more Amiga questions. Thanks for the video, might play around with it through emulation which would be great to learn more about it and stuff. I take it 3.1 is basically an Amiga 1200 right? Which I think is the best well apart from Amiga obviously :P, I would have to say Xbox360, I have 88 Games for the Xbox360 and about 15 Xbox1 games that are still compatible with the 360, I have only a couple for PS3 games since i mainly use it for Bluray movies, I have close to 30 games on Wii which including gamecube games would be close to 50 combined. PSP is great since you can play all kinds of emulation on it thanks to certain firmware etc. I only got the Ipad 2 for game testing with companies as otherwise I would never buy one, but I am liking it more than I thought which again is because of the game testing and being able to work along side the people who made games that I grew up with is awesome. I plan to get the PSP2 (PSP VITA) in Feb 2012 when it comes out and the Wii 2 (Wii U) to add to my collection :). I have a fully dedicated cinema room for all my systems all connected to a 110″/280cm screen. Wow.. you’ve got a lot of cool stuff! A dedicated cinema room is just awesome.. would love to have something like that myself. 😉 Must be great playing games on such a big screen! Wonder how Amiga games will look. Many Amiga 1200’s (the last ones to be produced by Escom) comes with Kickstart 3.1 as standard. The Amiga 1200’s made by Commodore had Kickstart 3.0. There is not much difference between 3.1 and 3.0 though. 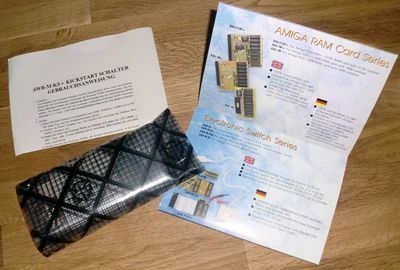 The Amiga 4000 did also come with 3.0 (Commodore) and 3.1 (Escom). That’s like classic Workbench on steroids!